Crates Explained | Crates are rather quite interesting | Learn how here! Crates are really quite interesting you know! Our crates are incredibly versatile from colour and sizing to handling and customisation. You may never have thought it before but crates aren’t just convenient boxes.They can be anything from point of sale display and storage solutions to kitchen tidies and beautiful display stands. 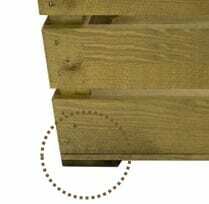 Here we try have the different characteristics of our crates explained. There are so many options it can be quite confusing. 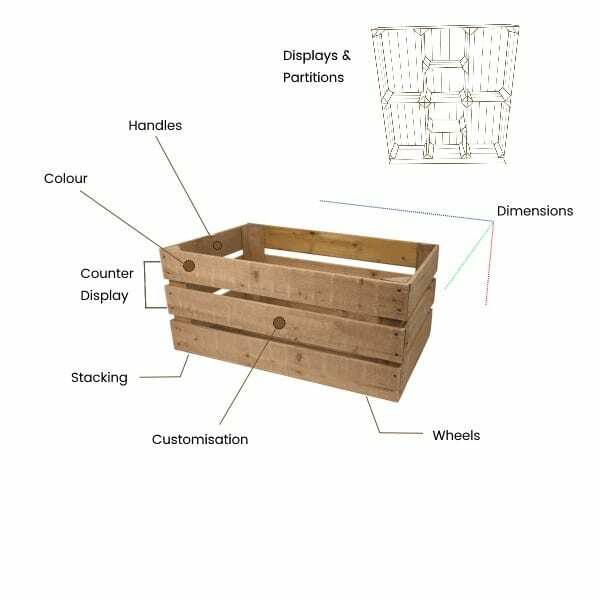 Here we try and help you understand some of the basic characteristics of our crates. Roll over and click on the different characteristics in the image below for more information. All our crates can be altered to bespoke requirements so please do contact us if you have needs that our standard options don’t cater for. 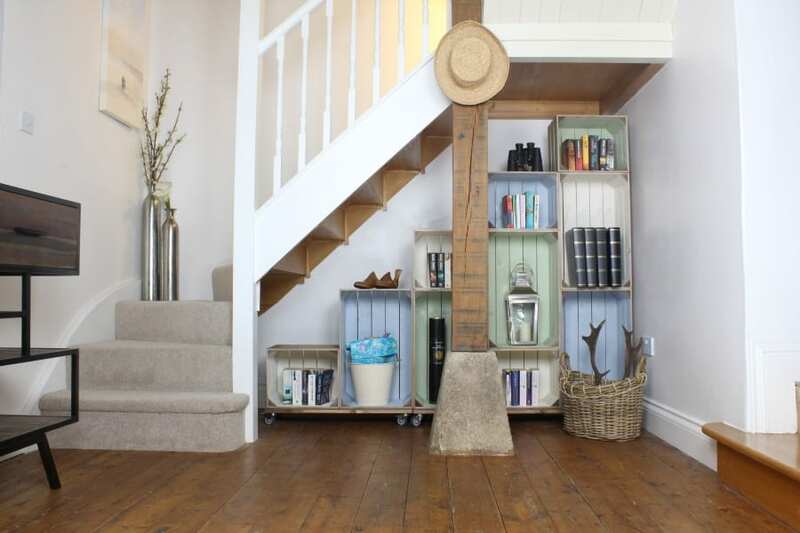 Either used as a shop and goods display or at home as beautiful storage our crates come a wide selection of colours. 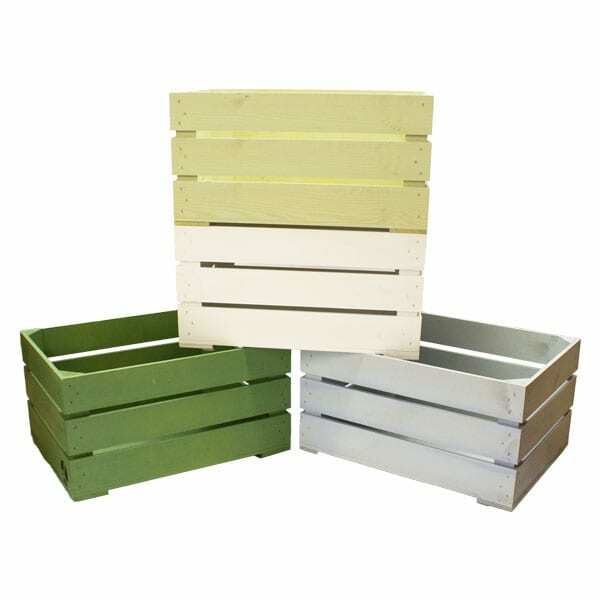 These include the ever popular Rustic Crate as seen in the main image, the Painted Crate as seen in the image above and the best selling Colour Burst Crate which is rustic on the outside and literally bursting with colour on the inside. Bespoke colours are available contact us for more information. Our crates are great for storage and also for display. 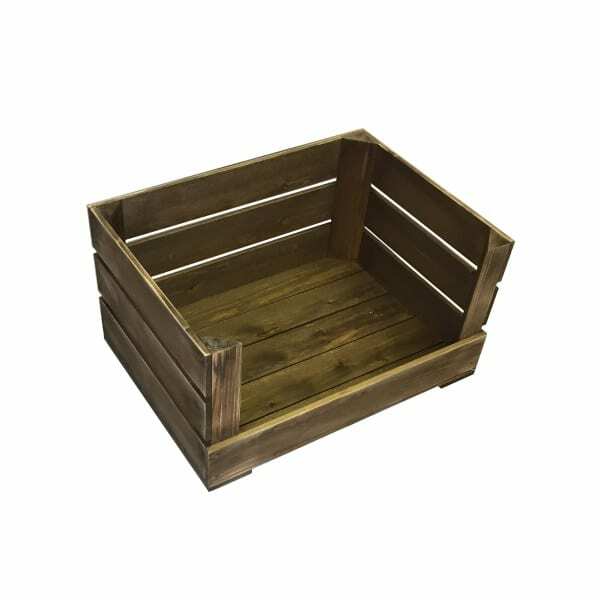 By removing the top two front slats the crate becomes a superb counter display for merchandise as with the Drop Front Rustic Crate as shown in the image above. Our standard crates are fine to be stacked. However if you are regularly stacking 3 or more high we recommend interlocking stacking feet, as seen in the image detail above. 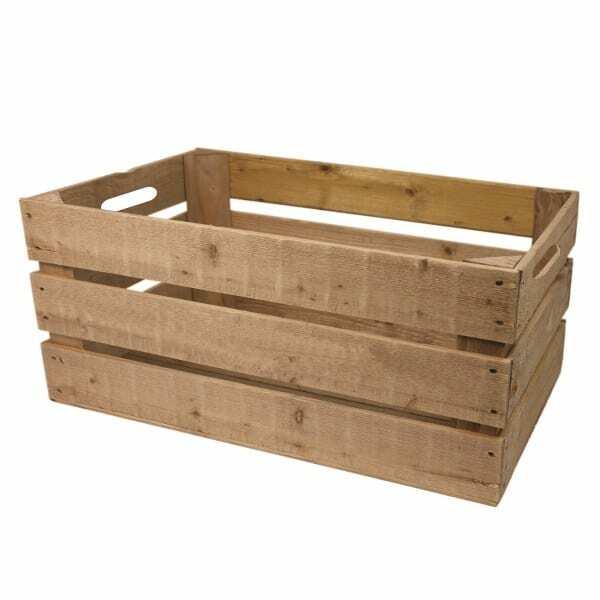 Whether used as display or storage or even as a children's toy tidy our range of Themed Crates makes them incredibly versatile with endless possibilities. 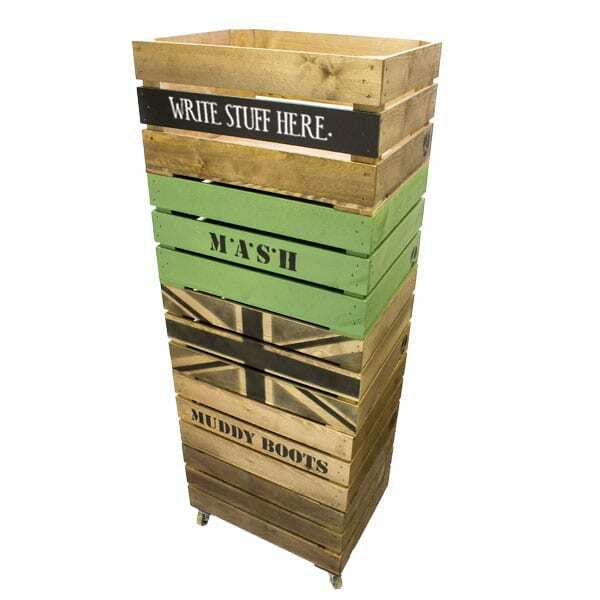 From standard themes such as the Muddy Boots and Kindling Crates to the Union Jack Crate. You can even have your own Customised Bespoke Crate or perhaps even a Blackboard Crate so you write your own label as and when you want. It is often very handy to have your crates mobile - especially if you're stacking them or using them as mobile merchandising displays. 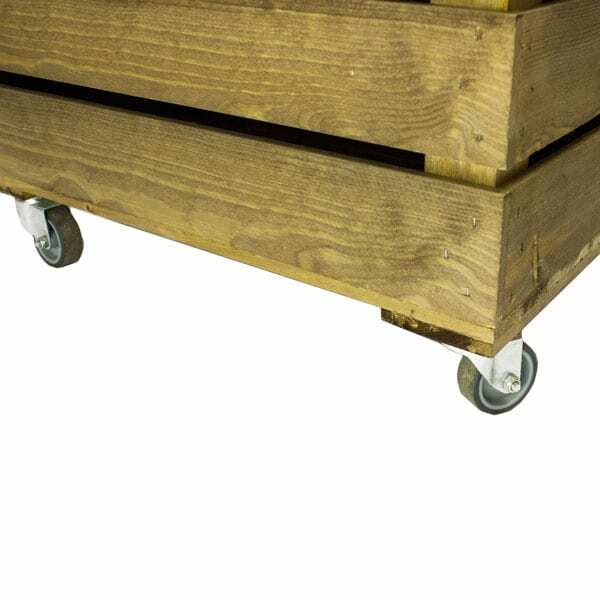 We offer a set of 4 casters as seen in the image detail above.